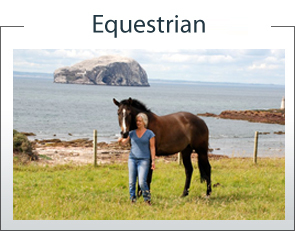 Bed and Breakfast and Equestrian Holidays, North Berwick – bring your own horse! 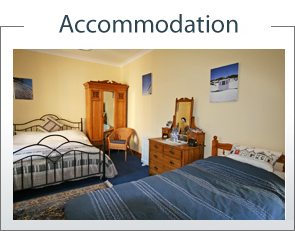 Seacliff Park offers high quality bed and breakfast accommodation in 3 bedrooms (1 family, 1 double and 1 Twin) with a friendly, relaxed atmosphere. Surrounded by trails and woodland, guests can walk for miles in a quiet, natural environment, perfect for couples, families and children, in fact deer often wander around the gardens and surrounding woodland! You can bring you own horse to Seacliff Park and join an Equestrian clinic, or just enjoy riding on the beach! 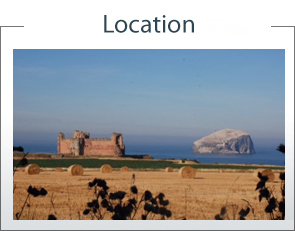 Seacliff Park is perfectly located and is close to North Berwick, a charming seaside town, and many local attractions including Tantallon Castle, the Scottish Seabird Centre, the Museum of Flight, and Seacliff Harbour (the smallest in Britain) there are lots of golf courses and many excellent local restaurants.